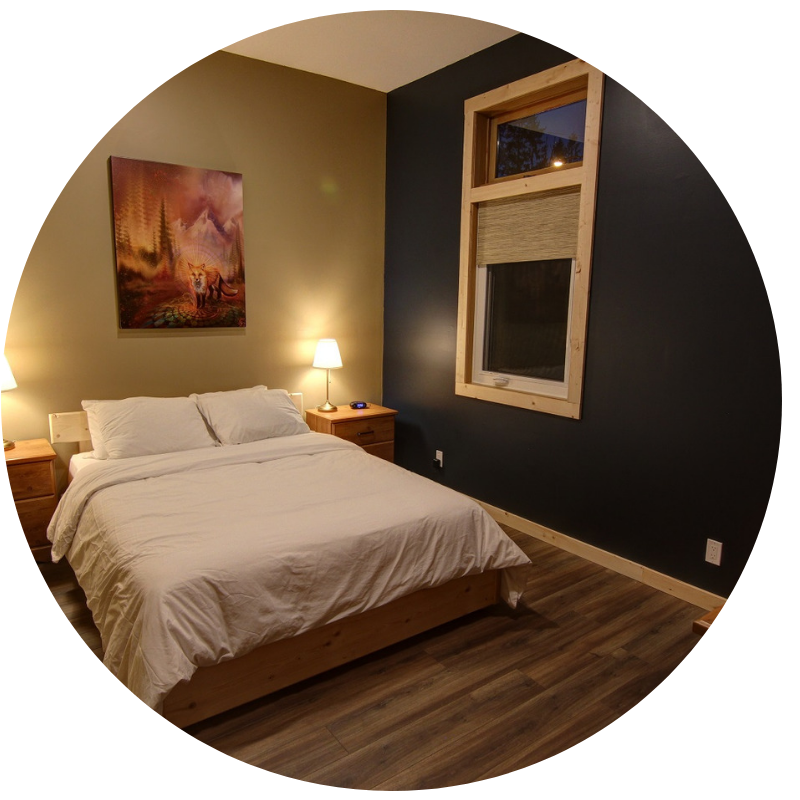 Sleeps 2 guests, with 1 standard queen bed. 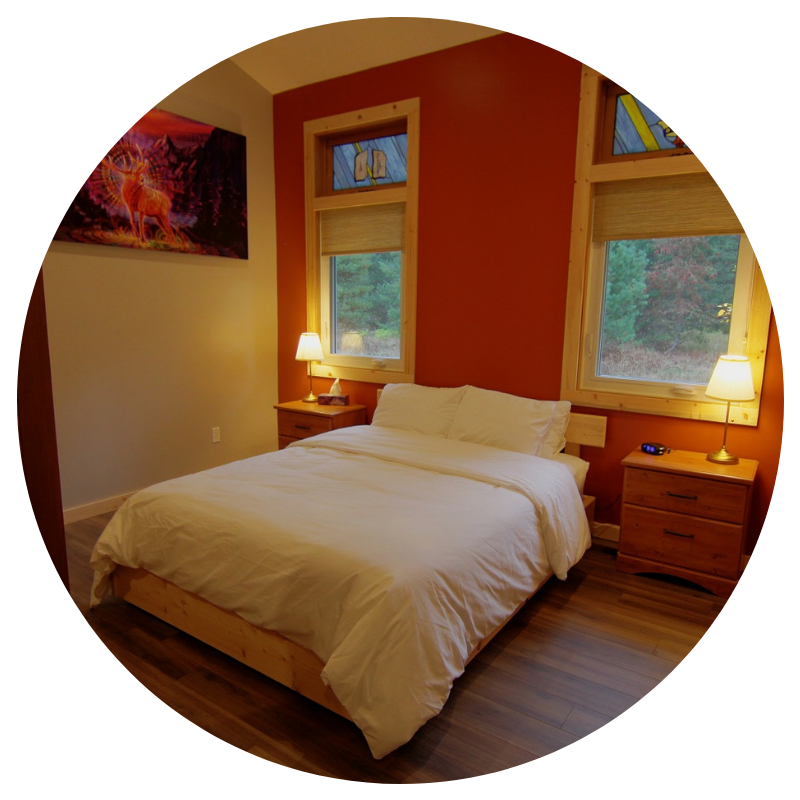 Sleeps up to 3 guests, with 1 standard queen bed and 1 custom-built XL-twin bunk under our 16’ vaulted ceilings. 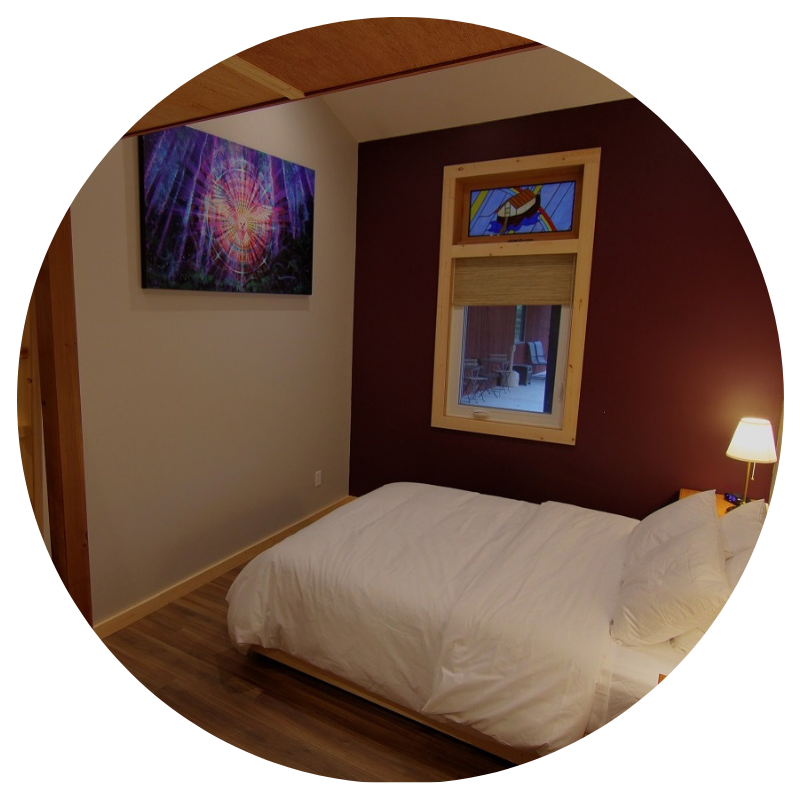 Sleeps up to 4 guests, with 1 standard queen bed and 1 custom-built XL-double bunk under our 16’ vaulted ceilings.